This is certainly turning out to be quite a thread for me. 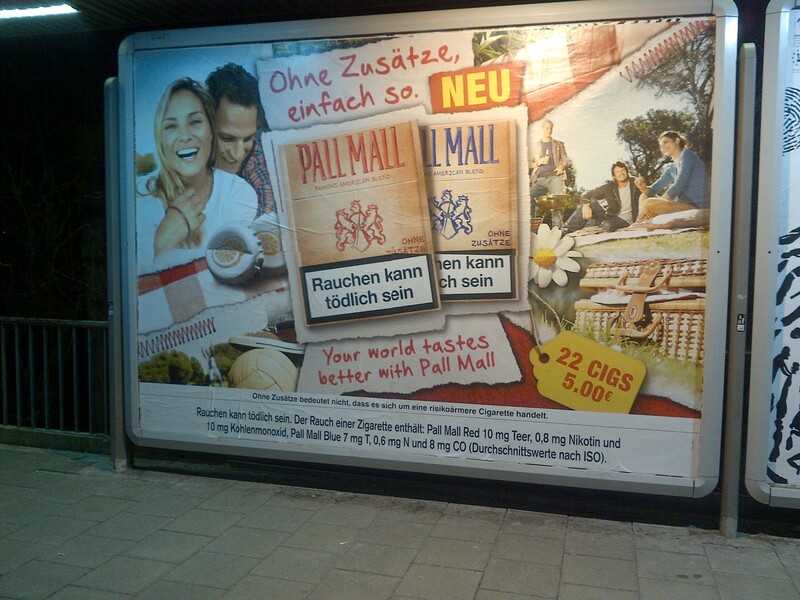 Whenever I pass through Laim station in Munich, I must view the latest episode in the smoking young people for Pall Mall. The latest has a spring theme. Same old toxic sticks. But now we can smoke them on the green pastures of the Alps.